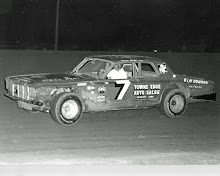 Des Moines, Iowa (June 7, 1969) – It took Bill Moyer two years to win his first feature at the Iowa State Fairgrounds, but he finally did it Saturday night. Moyer, who owns and operates a used car lot, piloted his 1968 Corvette through the pack from the inside of the fifth row to win. Moyer moved into second place with 10 laps to go and it took him another five circuits to overtake race-long leader Bob Hilmer of Dysart, Iowa, in his 1965 Chevelle. On lap 20, Moyer proved to be too much and powered past Hilmer for the lead. 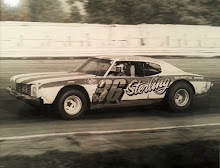 He would lead the final laps unchallenged to post the first win of his career. 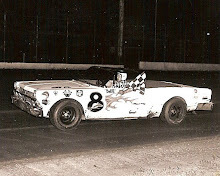 Hilmer finished second while George Barton of Des Moines took third in his 1967 Chevelle. 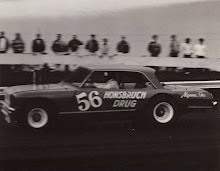 Stan Stover of Reinbeck, Iowa, finished fourth in his 1965 Chevelle and Darrel Dake took fifth in his 1968 Ford Fairlane. 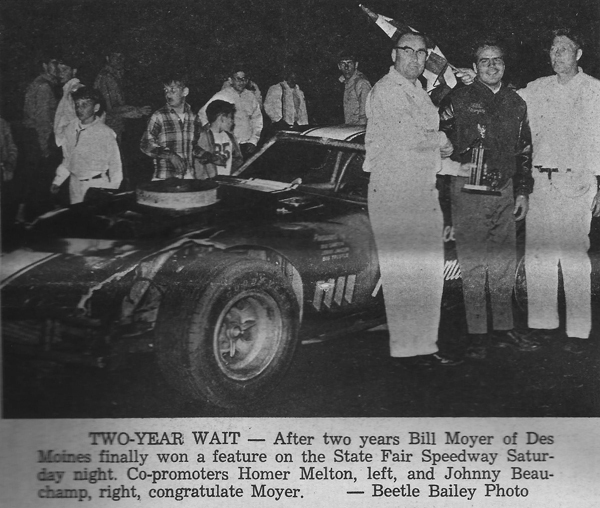 Moyer also scored the win in the trophy dash while Barton and John Connolly of Delhi, Iowa, were heat winners. 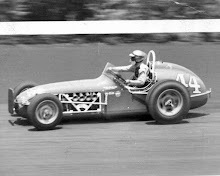 Darrel Dake won the 15-lap consolation.